While Mark was busy giving an interview to Cotswold Life Business Magazine, the rest of us were hard at work! One of our commissions during this summer’s heatwave was an inflatable misting station. 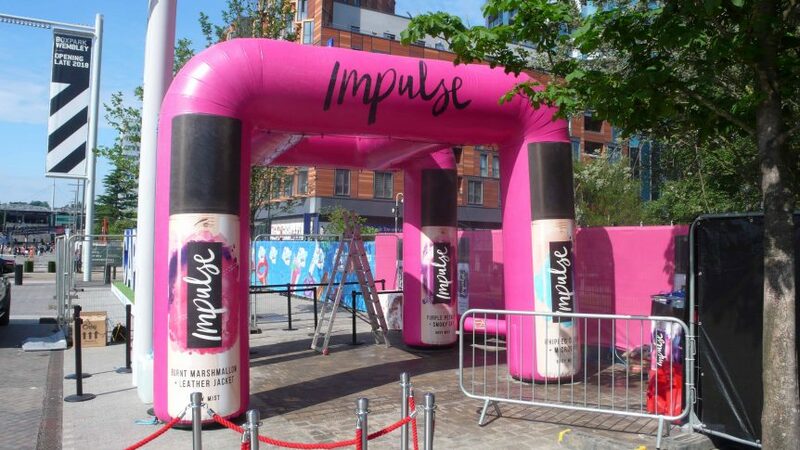 Sponsored by our client Impulse, the misting station was for the Capital Radio Summertime Ball 2018 at Wembley Stadium. Revellers danced along to live music by Craig David, Rita Ora, Stormzy, Little Mix and Shawn Mendes and many other stars. But as you can imagine, it was hot work in the soaring temperatures. Thank heavens for the misting station! 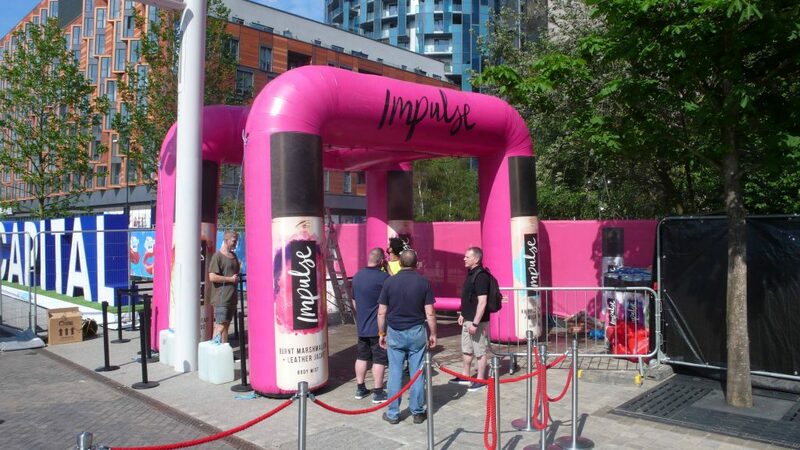 With its bright pink branding, it was unmissable to music fans who were able to cool off in between sets. Fine jets of water spray doused the partygoers and kept them from overheating. Doesn’t it look great? It is such a clever idea and we were really pleased to make it for Impulse. Our inflatable arches can be used in many different ways. They are a great way to draw attention in a crowd and make a eye-catching frontage to your exhibition stand. They are also perfect to mark the start and finish of a race. 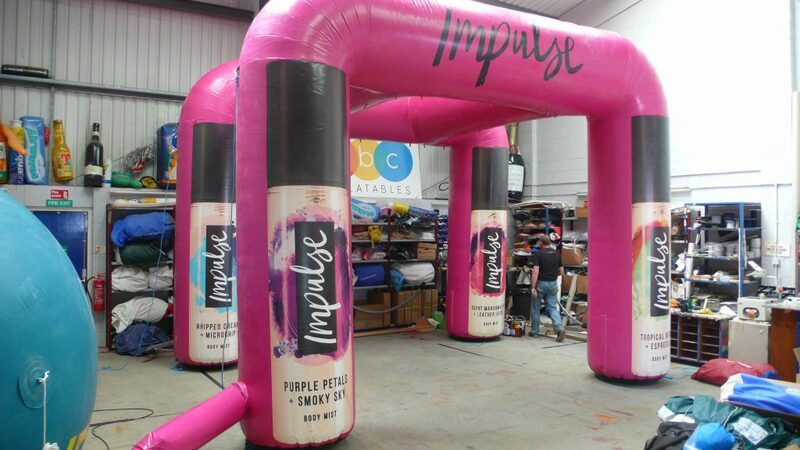 Or, like Impulse did at the Capital Summertime Ball, inflatable arches create a very cool misting station! Just what you need on a hot day. There is plenty of room for your logo and artwork as you can see from the pictures. And we can also make them to your own custom measurements depending on how big or small you need them to be. They are also really easy to transport and look after. We think they are really cost-effective for a brand that regularly organises or sponsors an event. So if you have an outdoor event that would benefit from a misting station or inflatable arches, give us a ring on 01295 278600.